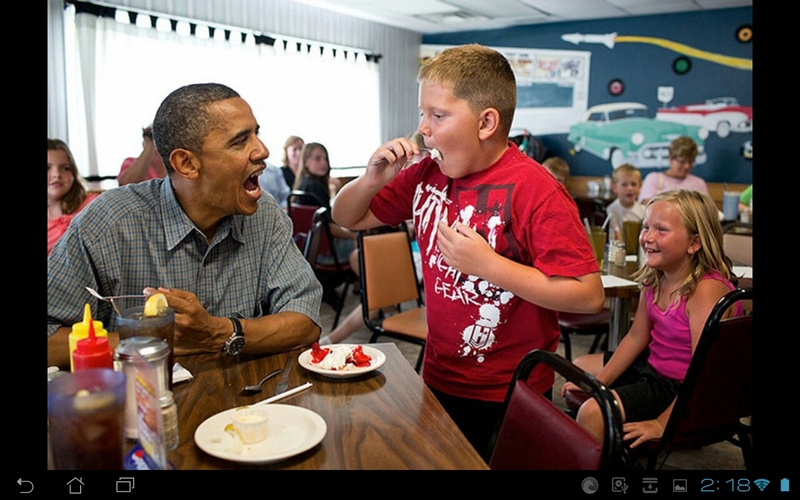 Here are some photos of Barack Obama with American children. He has good rapport with children doesn’t he? 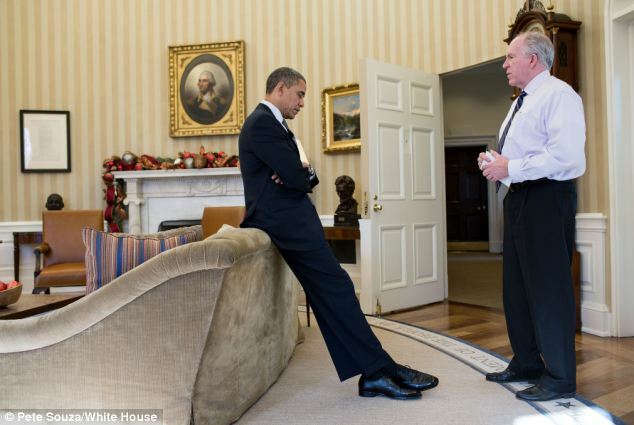 Here’s a photo of Obama receiving the news about the massacre of 20 children at Sandy Hook Elementary School. 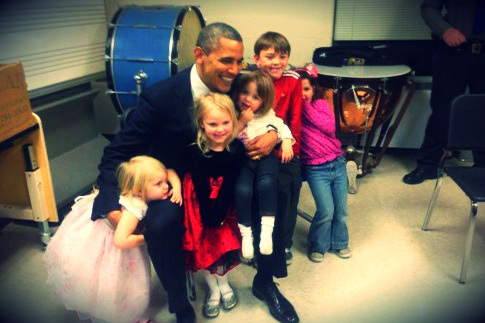 Here he is with some of the children from Newtown who weren’t murdered at Sandy Hook Elementary School. Here’s the approximate number of children killed by CIA drones to date (January 2013) in Pakistan, Yemen and Somalia. Here’s a story about a drone attack from a child who survived when one of Obama’s Hellfires dropped in on him in Pakistan. The text is taken from the Stanford-NYU website, Living Under Drones. Sadaullah Wazir, teenager, former student from the village of Machi Khel in Mir Ali, North Waziristan, was severely injured in a September 2009 drone strike on his grandfather’s home. Sadaullah has filed a complaint before the UN Human Rights Council. Perhaps Barack Obama could go to Waziristan and speak to Sadaullah Wazir and explain to him why he had to blow his legs off with a Hellfire missile. 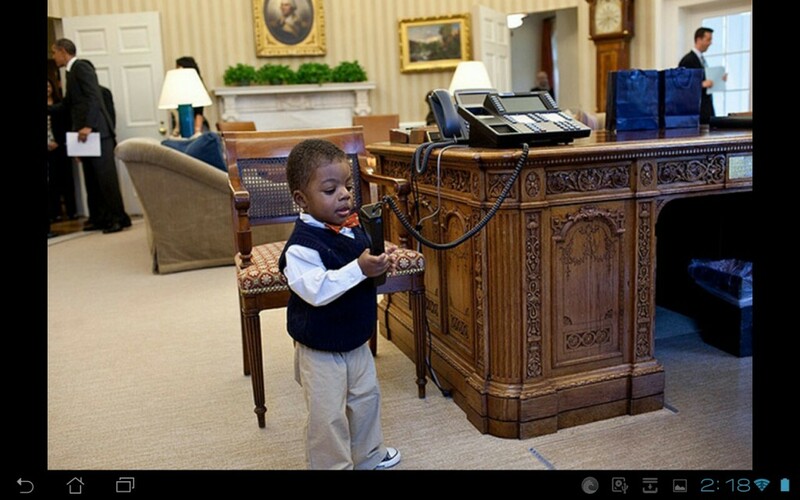 Or maybe Sadaullah could meet Obama in the Oval Office. It’s not as if he isn’t used to having children there. They could have their picture taken together. Numbers are enough I think. There are plenty of pics of children killed by drones. But I don’t want to be someone who displays them. It’s unnecessary to do so in the name of argument, and personally I think it borders, if not actually crossing a border into voyeurism I don’t want to cross. And it wouldn’t show them any respect either. Yes, I take your point, and would not have expected you to post such photographs. Children killed as a result of drone attacks most probably come under some sort of “collateral damage” euphemism, so are not linked directly to Obama. The sort of photograph I was alluding to – the most damaging ones for Obama – would be of the order of the one you suggested in closing – Sadaullah Wazir and Barack Obama photographed together in the same (not digital workshopped) frame. There is an interesting point that could have been developed in this article about the discourse on human rights currently gaining so much traction in the West and what that means for theatres of war and our overall ‘valuing’ and conception of what a human life is in that context and in general. It would be interesting to look at how that valuing plays out in mutual geopolitical gazes… so to speak. I’ve always appreciated the fact that Overland offers a context for serious leftist thought. My working definition of that would be that it offers up a space for deep analysis that attempts the difficult task of thinking through all the facets of an issue and for the positive suggestion of substantive alternatives to current practice. The Right are experts at cheap shots and sound bites… let’s leave them to it? I’m not sure in what way this is a cheap shot. I think there’s something very interesting and even crucial in Obama’s personal commitment to launching drones. 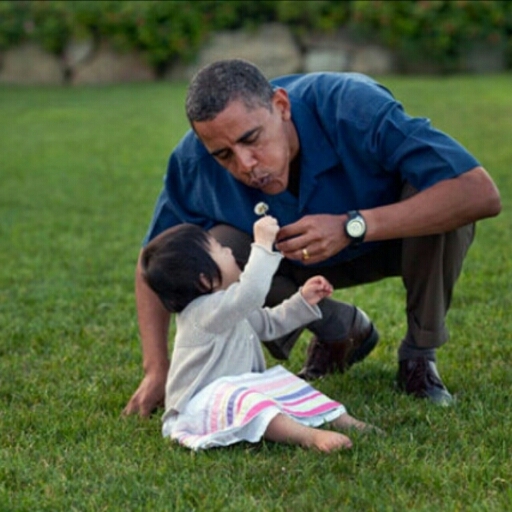 It’s clear from the many photos of Obama with children that he has a good rapport with them, especially young children, that is probably genuine. I’m making this judgment from a professional perspective having worked with young children in many capacities for many years, including children who are terrorised. Given that rapport there is a significant split happening I think, in Obama’s take on world events, related to a sense of US exceptionalism, but also to Obama’s own sense of who he is. The interesting question for me, is ‘If Obama does have an ability to enter the imaginative world of a child, how is it possible for him to personally approve the dropping of Hellfires according to nebulous criteria, when there is clear evidence that children are being killed?’ If we could come up with a coherent answer to this within Left psychologies and politics we’d know a lot more about the Obama administrations weird and contrary actions. Overland may well be the place for ‘deep analysis’. But being a fairly broad church, stylistically speaking, it’s also the place of the off-the-cuff. Unfortunately for you, I don’t do ‘deep analysis’ anyway, so you’re looking in the wrong place, like searching in the lolly jar for something nutritious. I’d rather have my kids meet a fun-loving guy, than meet a blind random death-machine, that’s for sure. That would be the cheapest shot, the cheapening of life to great degree. actually, speaking of ‘cheap shots’ the cost of a Hellfire is between US$60-$70k. I wonder if that’s cheap by missile standards? Sure Stephen, I have a sweet tooth from time to time as well, but there is something rock hard in this particular little treat that really sticks in my craw. To suggest for an instant somehow that Barak Obama ENJOYS the fact that these drone attacks DO cost civilian lives is the kind of propaganda that the Assad or former Gaddafi regimes would produce, nothing less. And your photo essay works on exactly that level. There is a fine line between intelligent leftist commentary and frankly absurdist character assassinations that do no justice to the obvious complexities of an office and an exit strategy Obama inherited. While I hope there is never another missile attack in the world forever, I am not so naive as to miss the reason for their use in reducing US and other UN force casualties in a context in which the Taliban is deeply embedded in a variety of communities, some that do and others that do not want their presence in their midst. At the beginning of a second term that I sincerely hope does see a full withdrawal of troops from Afghanistan as well as some serious intervention at home in relation to gun control, not to mention recent advancements in health care and taxation that I’m sure will help the children of low to middle income families wear a smile this year, this guy is doing some really positive things. He is not a janus-faced murderer. He is a progressive leader with a challenging job. It’s easy in Australia to lose respect for the role of politicians… But I would argue that he is one that we need. However, there might be a kind of enjoyment in a other senses that is worth speculating on, something I touched on a little in a post at OL last year, ‘Obama’s Hellfires’ which you can find here somewhere. Obama is after all highly committed personally to the drone attacks, and it was reported that prior to his re-election his staff were drawing up ultraclear procedures for the continued use of drone assassinations for Romney, should Romney have become Prez. Saying that Obama has inherited a complex situation doesn’t really address anything. It’s obvious he has, but I can’t see how a continuing illegal drone campaign that sometimes targets US citizens and causes extensive collateral damage is going to have long-term benefits. I’m asking a question I’d really like to have an answer to: Why Obama, is able to weep over the children of Sandy Hook – and quite genuinely, I think – and at the same time launch Predator drones. It’s not that Obama is getting bad military advice that concerns me, it’s his personal zealotry in regard to the drone assassinations. Apologies for Obama’s actions tend to create Obama’s challenges as a series of moral dilemmas that he is courageously facing. And the White House has endorsed this view I think. It seems to me that this approach still subscribes to the US idea of itself as a kind of moral arbiter, a nation that struggles with the ‘Great Questions’ of freedom and justice. It’s a kind of hang-wringing which is all the weirder for being completely hollow, even as it is fervently believed by its proponents. The reality is that for the latter half of the 20th C and increasingly in the 21st C, the US is a nation that has inflicted enormous suffering and indescribable terror on much of the rest of the planet. In any other times, Obama would have been a Republican. It’s only the fact that US politics has moved so far to the Right that makes Obama seem, in some eyes, to be a progressive. The list of Obama’s repressive actions and policies is very long I think, and I dont have time to go into it here. At the end of Obama’s term the US will most likely have expanded its bases around the world, have entrenched its laws on surveillance of its own people, established a program of extra-judicial killings as a norm, etc etc etc. Whatever the faults of my posts maybe, and I will admit many failings when pushed, I think comparing them to Assad and Khaddafi’s propaganda machines is something of a stretch. Sorry Stephen, can I just clarify that I was not meaning to support the use of drones. Just to acknowledge that given the geography and the vicissitudes of ground combat I could see how Obama would be getting (yes, you are right, often mealy-mouthed) military advice in their favour. You’re right also that they have inflicted suffering in the name not only of those abstract nouns you mentioned but obviously for profit also. I think Obama weeps for the kids at Sandy Hook because they died for no reason, it was utterly senseless and I’m sure we all shed a tear for that loss. I hope he can lobby the NRA and the public in general and make real change. I’m not necessarily supporting his view but I am wanting to suggest that it is not psychopathic to consider that the use of drones could prevent US, UN and Pakistani forces’ casualties. I think part of his logic is also to want to be able to withdraw by the end of his second term and leave an Afghan military at least vaguely able to stand up to the Taliban/Al Qaeda. If not then all would be back to square one and all who have lost their lives on all sides of this protracted conflict would have done so in vain. That’s the burden he carries. Of course Sandy Hook was senseless. It’s hard to imagine a situation where it would make any sense, but I think that’s exactly the argument White House makes for the use of Predator drones: there’s a moral sense behind it. I’m not about to argue that Obama is psychopathic, but there is a cold and psychopathic aspect to his thinking and I’m curious as to how he manages to split it off from the rest of his personality. Obama is the embodiment of the violent US history of moral articulation, and he does it very well. This post has moved on some since I last looked. I will add that feeling deeply for and speaking out about children (and of course men and women) killed and maimed by US drones counts as deep analysis in my book, more so than any reifying human rights discourse concerned more about unethical political processes than the lives and deaths of innocent people. I wonder Stephen and Dennis if at times us left leaning types don’t over empathise with ‘the other’ and fail to empathise with power brokers closer to home like ‘the leader of the free world’… I mean imagine as ‘commander and chief’ having to look into the eyes of so many boys (and they are boys, 18,19,20 year olds just trying to pay for their college education) and say, look, I’m against this new technology, so you go, all of you go and run up that hill. Run up that steep mountain to that town bristling with AK47’s and ask around if they’ve heard about the Taliban or Al Qaeda. I would cringe at that task. I would seek an alternative. I would know in my heart of hearts that many would die and that of those that came home, no one would understand them and everyone would blame them. There are a lot of people, governments, bodies, corrupt officials, tribal groups, Sunni and Shia as well as North Americans that are to blame for all this bloodshed. It would be absurd to solely blame the US for ALL of this. ALL of this is tragic, it’s not just some kind of conspiracy or exercise of power-broking or profit taking by a caricature of the western world somehow mad with power. I am sure Stephen that is DOES distress Obama to see that these drones DO kill children. There is nothing good about that. That is ALL bad. Perhaps the only ‘moral sense’ in all of this is to get out. Now just how exactly? That is Obama’s question and I empathise with him in that difficult task. I’m sorry I don’t empathise with Obama at all. I don’t disagree that the causes of geopolitical violence are complex, but the US really has to hold the lion’s share of the blame for supporting or instigating it the past 60years. The question for me is not imagining moral dilemma’s in Obama’s mind as he asks US soldiers to go and get killed, or signs off on his Tuesday Kill List, but wondering what the mechanisms are that enable him to do that. The Left is pretty crap at considering politics as psychological states, and considering the politics of childhood also. But Jacqueline Rose showed in her book States of Fantasy (abut Israel and S. Africa) that it is possible to consider nations as if they can inhabit disturbed psychological states. It’s not uncommon for people who commit horrific acts as mandated by the state to carry them out without qualm and lead otherwise uneventful lives. For example the torturer can go to work, beat people to death, or throw them into ovens, go home for dinner, walk the dog, listen to some Mozart, play with the kids and read them Winnie the Pooh, and so on. How is this possible? It’s possible because our torturer very neatly splits himself – the torturing is actually done by someone else. So two incongruent states sit side by side happily. The US seems to mimic this behaviour, perhaps the most violent, weaponised society there has ever been, where ordinary citizens are routinely massacred by other citizens, with a vast nuclear arsenal, mindboggling military spending, active sponsor of numerous regimes of terror, yet sincerely promoting itself as a standard bearer for freedom, moral truth and justice. 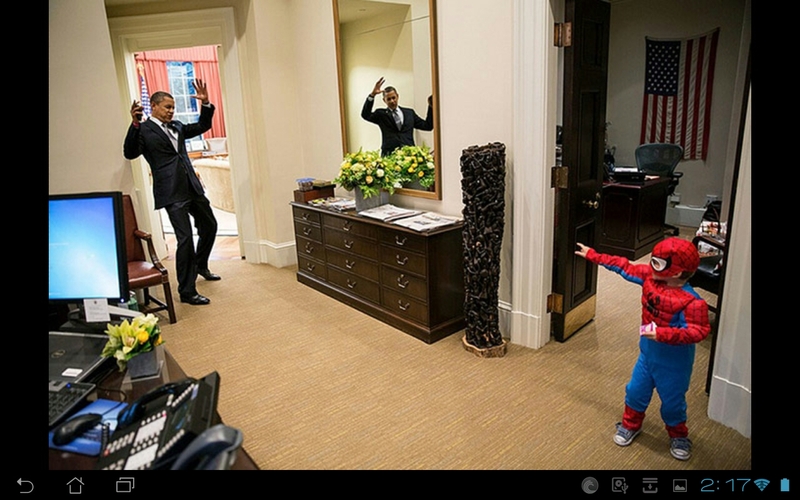 Obama epitomises this perhaps more effectively than any other president I can think of. I don’t think he goes to bed agonising over the children he’s shredded with Hellfires, because no-one could and still function. I really wonder about his remarkable ability to compartmentalise things, to exist in a series of temporary fantasy states,none of which relates to the other. Well Zizek has made a career out of psychoanalysing the geopolitical but a lot of that material leaves me cold. I think actually being a decent politician has the same imperative attached as being a good commentator/critic, that is to try and ‘see the whole’. So I don’t think this is about ‘splitting’ or multiple identities. I think it’s about coming to terms with a reality that is by it’s nature multifaceted and made up of a range of intersecting points of view and conflicting interests and holding them together in suspension so as to pass coherent judgement and take best action. I think the most politically effective criticism does this rather than cherry-pick a particular connection or push a hot button for the sake of some kind of ‘special effect’. Again, the Right is fantastic at this! Now you are right about the US having to shoulder blame, I don’t want to come off as an apologist for their militarism in general. But just to take us back to the top for a second, the point of my comments here are merely to question the thrust of your article. Is it really relevant, true, decent, measured, illuminating to compare Obama’s reaction to Sandy Hook with his culpability for the deaths of Pakistani and other children due to drone attacks? I don’t think it is. I think he along with you and I do not want to see a single child injured anywhere. But I think he is stuck in a ‘mechanism’ as you put it that involves a lot of strategies and a lot of scenarios that lead to some kind of solution (if that is even conceivable now in the mess it’s become). So it is absolutely a moral impasse. To use drones and deal with the fact that there will be collateral damage is difficult to justify, perhaps a better strategy would be not to and risk more casualties? Or to pull out more rapidly and risk the stated aims of the mission there returning to dust just as fast. Those are a portion of the REAL moral choices we all face, there’s no fantasy involved at all. Perhaps the only fantasy is that being propagated by military advisors suggesting there is any kind of positive legacy whatsoever in sight to be working towards. I think we might have to part company on this issue John. Of course. Obama is killing children by the hundreds. That’s worthy of questioning. This is obviously untrue in Obama’s case. Obama is not ‘stuck in a mechanism’. The drone attacks are a choice, not an agonised way out of a moral dilemma, a choice that Obama is personally hugely-committed to. The evidence that the strikes are preventing further deaths has not been forthcoming, and even if it were, killing Pakistani children to prevent the deaths of Westerners, seems to be a strategy not just morally repugnant, but weird and indefensible on many levels. Still no closer then to answering the dilemma posed by this post: how a person / country can be so Janus-faced about children: ours and theirs. As I say, I don’t have any answers as to how a ruler like Barack Obama can act as differently as he does toward different sets of children and think it is okay, and is able to live with himself and the decisions he makes, which affect different children so differently, and lie straight in bed at night. Or does he? If he does, what block-out mechanisms does he use, or is he totally unreflective, so unthinking, that he believes himself to be doing the right thing? There is too the stories of those abattoir workers who are often so traumatised by what they did day in and day out for so many years that they end up having complete and total mental breakdowns. And as to psychoanalysing whole countries… I have no ideas. I don’t have a lot answers either, but the point is to ask the right question: what are the mechanisms that allow Obama to do his Janus-thing, and then start throwing ideas around within political contexts. It ties in with the idea of thinking about the ‘psychological states’ of nations. For example, my argument is that Australians suffer from a continuing amnesia about their own history, in regard to its establishment, the continued presence of non-Aboriginal people here and so on. Forgetting can occur, clinically speaking, when something is too unspeakable or too painful to look at. But the forgotten thing always tries to speak in another way, and so becomes a symptom, an attempt at self-cure so to speak. If that’s the case with Australians an interesting question is, what are our symptoms that enable us to keep forgetting? Enter John Howard, the man with no memory, who enjoins us to target to relax, and who punishes those who remember and who deliberately seeks to establish a fictional past, who sanctions a rigid, and unchanging sense of self, that will crush anything that looks as if it will be a true memory. we do this with animals too (things with cute human-like faces, through to creatures with no faces, limbs etc). To me this seems like a normal, typical survival trait (evolutionarily speaking, at any scale). But the nurturing aspect of being safe together in caring ways is a normal, typical survival trait too. So when we talk about caring for everyone on the planet (humans at least, if not other creatures etc etc) it is like we are wanting to extend the familial setting (looking after one another) and reduce the alien setting (not caring for the distant other, preferences the local familial over the distant other to the point of harsh circumstances and even death). The terroritorialness of cities and nation states and any other sedentary bounded existence has structured various homes-and-aways for centuries. But even the nomads had some of this going (home was your tribe moving with you, not whatever tribes you cross paths with etc). Exactly. And power politics is based on the rejection of that argument, and investment in the belief that the other can (and must) be either projected as foreign, or completely and seamlessly introjected. Stephen, so this is the power politics of the ‘alien setting’ of our survival, to mash your words with mine. What is the politics of the ‘familial setting’, looking after one an-other (the one that is always other, the other than is always one of us etc etc)? You’re asking me about the politics of families? Crumbs. I suppose the question for me is how can the (Western-capitalist) idea of family be a unit or agent of subversion? Dennis, isn’t “responsibility to any particular individual is only possible by being irresponsible to the “other others”” exactly the justification for a nation state to care about the wellfare of its children much more than other children? You’re right, and in the terms of this post, that’s Obama’s impasse – being and perhaps feeling responsible for US children only. For me it was simply a starting point for thinking beyond that impasse. An impossible question for me, Luke. But off the top of my head, if the setting and context you are referring to is Australia, I need to think about the mixed, the mix, the mixing, the non-mixed, the non-mix and the non-mixing, and thinking is not a strength of mine. So, a stone age peoples, traditional owners, being asked to adapt first to an industrial, and now post-industrial micro-economy, meet its literacy and numeracy demands, adjudged to be failing and so intervened upon by those who did the first intervening, all of which is mostly and conveniently forgotten, without any concessions being made the other way? I have just returned from a Martu People’s exhibition at the Fremantle Arts Centre, “We Don’t Need A Map”, where you sit in a simulated Western Desert complete with phone booth and watch a video triptych showing and telling of how the phone booth, which replaced radio, allows the Martu people to communicate with each other over vast distances as they have always done, so keeping family and friendships together amid love and loss and sustain an ancient way of life. No 3G technology in sight. In one exhibition the extraordinary Martu knowledge of their lands and known waterholes and travel routes, seen too in the paintings on the walls, is mapped by satellite imagery which shows the underground flow lines feeding these same waterholes. In another video exhibition, the traditional Martu way of caring for the land and obtaining food through controlled burning is superimposed over the same paintings hanging on the walls, while in the central building three elders sit in the middle of the art gallery slowly and ritualistically painting paintings like those handing on the walls around them and us. Afterwards, I went to the bank, the chemists, the supermarket, the cafe, the food hall, the hardware, the music store, the bookshop, and didn’t see and wasn’t served by anyone remotely like a Martu person. Sadly, it would have been remarkable had I been; the sad part being the cause for a remark. I, and more than a few million other people, need to get a few things straight in our own heads before we even think about answering your question. Hey Dennis, sorry if the obvious questions here are too grating, but… what are the few things to get straight? and how might the human creatures that need to straighten these things out start to do this? I’m in the middle of not too much civilisation of any sort at the moment – a good space to begin. We probably need to get straight on the actual material conditions of our existence by asking where it is we live and how we want to live and whether our current modes of existing are sustainable for more than the lucky few in the long term, rather than living in some metaphysical relationship to what we call home: living and breathing the flat white self styled European café life and drinking home bottled imported beers while living and holidaying along lush inner city, suburban, Broome 3G fence lines along with local and overseas stars and celebrities, while on the arid side of those same fence lines other Australians, including fauna and flora, live in abject poverty not of their but our making. So, do our politics, economies, notions of family, work, production and consumption, and leisure, aid or degrade both natural and cultural environments and relationships, and respect alterities while remaining open and inclusive, or disrespect those alterities by remaining closed and exclusive? How can a dire situation be changed? I don’t know. It’s absurd to expect people to overthrow positions of ensconced power, or even ask questions that militate against that same power base, let alone answer in the negative. Who are this us and them anyway? No one more confused than me. Stephen, it’s definitely worth thinking of how family might be an agent of subversion, but actually by “familial setting” I was referring to my previous comment about “looking after one another” as the familial survival trait (surviving by looking after one another) versus the alien setting of survival (surviving by not caring for the distanced other). So I’m asking about what the politics would be that is not a power us-them politics but a looking-after-one-another-including-all-the-others-not-just-the-immediately-nearby-others. ?? Oh, ok. That’s a big question, and an issue I tend to think about a lot, and touch on from time to time at OL. I guess I see the Left as largely a politics of care, and the Right as mostly a politics of sociopathic externalising. That’s not to say that the Left doesn’t have its sociopathic voices, but generally that’s how I divide my politics. It’s also apparent that that Left politics will always actualise itself among the oppressed who clearly see that markers of social justice require the building of local, particular relationships of reciprocity of generosity and so on if they are to be made actual, and that these structures have global applications. The distinction between a power-game of greater and lesser autonomies, versus a sharing-relationship of mutual autonomies, brings to mind some of the non-violent communication stuff (Rosenburg who studied with Carl Rogers) which compares the difference between meeting one person/group’s needs at the expense of another, versus trying to creative find ways to meet multiple needs at once. Thinking of things as a finite pie that only some can get a piece of, is so vastly different to trying to live such that either there’s enough pies for everyone of that we aren’t even operating in the zone of finite, divisible portioning. One thing that I think I’d want to disagree on here is using the terms of Left and Right. Because that seems already so antagonists and us-vs-them and either we’re in control or they are. I know it’s more nuanced than that, but I’m wondering if talking about a politics of care and creative shared autonomy is were it’s at. Yeah, you’re right on the Left/Right thing – it’s more of a shorthand I use for myself to group certain ideas. I probably need to come up with other terms, but I’m too lazy and slow. I like to draw. There’ s nothing to talk about my drawings Talking doesnt look like drawing. I ran over a wallaby today with my car. A stranger stopped to help me get her off the road. He killed it with a big rock to stop it from suffering. I held her joey while his mother was killed. I took the joey to a wildlife carer. I don’t know if it will live. I don’t care for politics. I can sympathise. 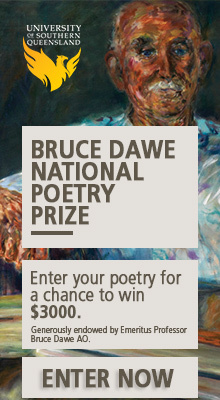 I”ve run over my share of wallabies and it’s a distressing thing. But there’s politics and there’s Politics and I’m not sure how one can draw without it being situated in the world – which is what makes things political. The Janus we have here is the impartial, undemocratic, authoritarian, public decisionmaker versus the caring, affectionate, private dude. The US Congress has never debated the use of drone attacks. Despite the F-18s replacement F-35 JSF being dead in the water and no combat aircraft under development by any major western country and despite the Herons being operated by 5 Flight within Air Combat Group, UAVs in Australia are strictly spoken of as surveillance and reconnaissance platforms. But the bastards are simply re-jigging the strategic defence reform programs to slip the C word into UCAVs. Politicians seek by stealth to depoliticise the public and keep desire, need and feeling locked in a private closet. I imagine we are at the very beginning of a massive shift in defence tech, as the world becomes flooded with drones, both micro-size and B-52 size. I’d guess that the line between ‘defence’ and population surveillance will become increasingly blurred. And that the Janus face exemplified by Obama will increasingly be the face of our democracies. I didn’t realise I had suggested that I can draw and not have it situated in the world. And thank you for your clarification of the politics of capital letters.